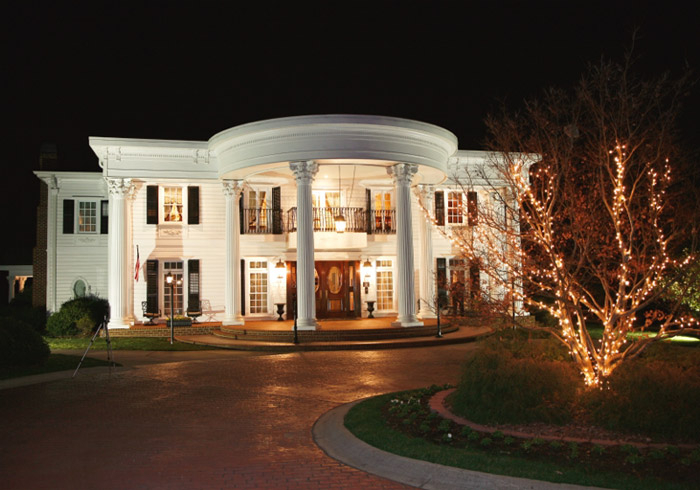 The Ryan Nicholas Inn, a 10,000 square foot southern mansion set on 6+ wooded acres, has the feel of times past. 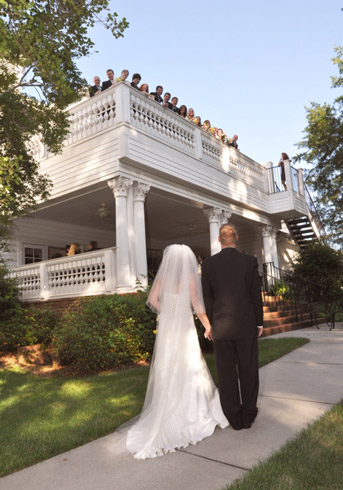 The owner, Kim Becherer, along with her family, designed and built the Inn. 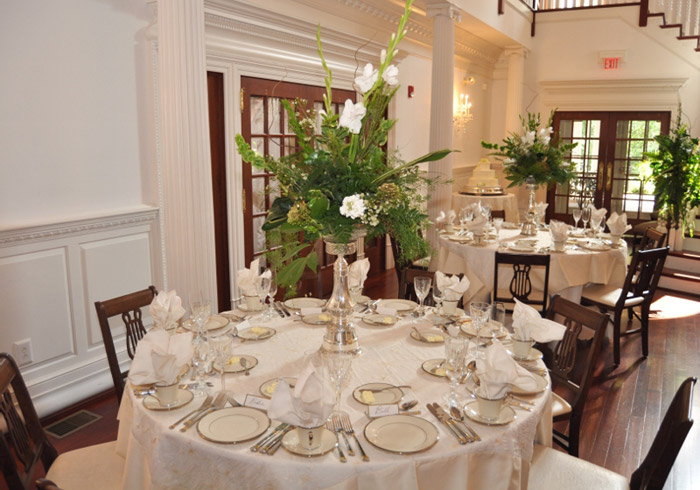 It is filled with ornate wood and plaster moldings, Brazilian cherry hardwood floors, crystal chandeliers, fluted columns, period furniture, wall coverings, and draperies. In the center of the home is a 2000 square foot gathering room with 24' ceiling, "Gone with the Wind" style staircase and balcony. Eighteen columns and eighteen chandeliers surround the room with elegance. 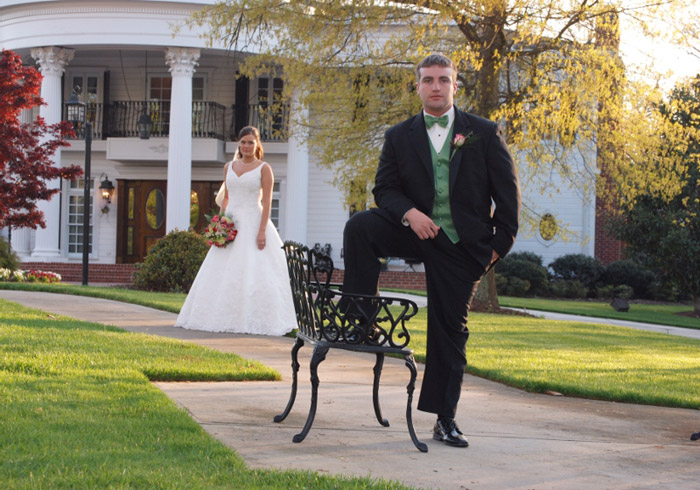 Perfect setting for your Wedding Ceremony!! 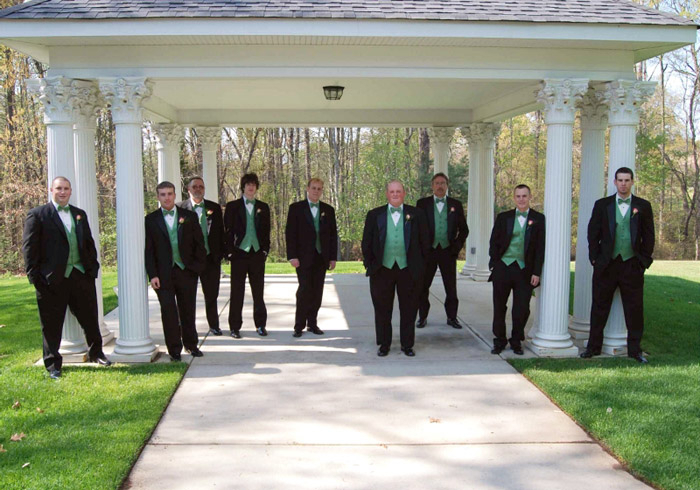 The beautiful, totally glassed in, Crystal Pavilion is wonderful for your Reception. Dance, eat and drink under the stars in an outside lighted atmosphere. 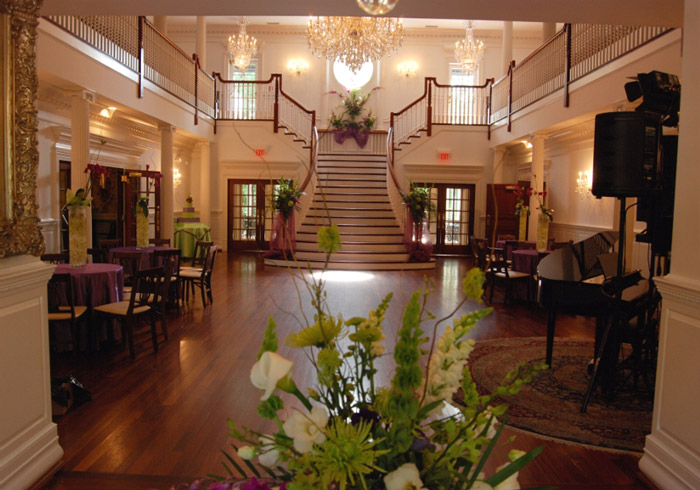 The Inn can accommodate any event from a romantic get-away or business function, to a reception for 300 people. The 4 luxury bed and breakfast rooms have fireplaces with beautiful wood carved mantels, private phones, TV's, and private baths with oversized double headed steam showers, jacuzzies, TV's, and sauna. 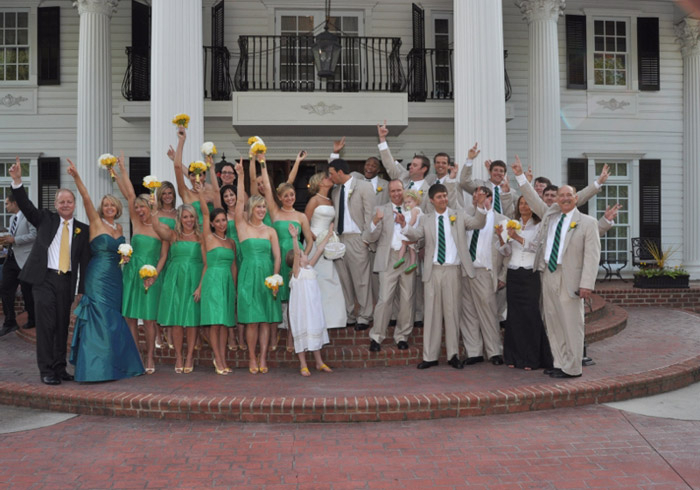 The Inn provides its own on-site catering and has a full liquor license.